Finnish Heritage Agency (previously the National Board of Antiquities) is the nation’s specialist, service provider, developer and authority in material cultural heritage and the cultural environment field. The Picture Collections preserves and depicts the History, Culture, Built cultural environment and Press Photo archives of Finland. They include about 15 million images produced using different methods (photographs, drawings, watercolours, graphics, and prints) from 16th century to the present day. img. 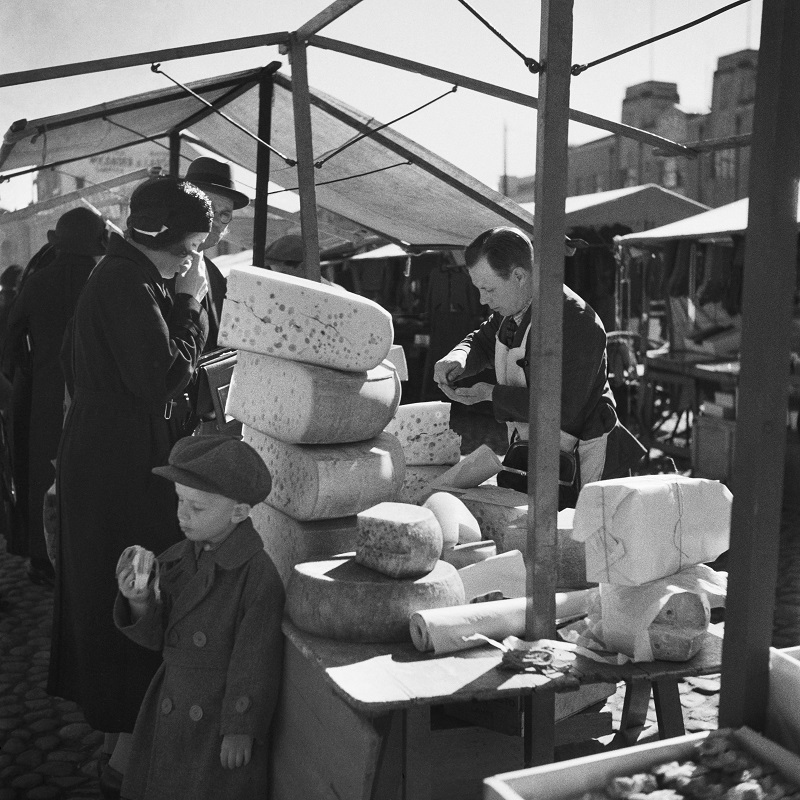 Selling cheese and eating banana at the Turku market square in the 1930s © Collection of the Foreign Ministry of Finland, The Finnish Heritage Agency.